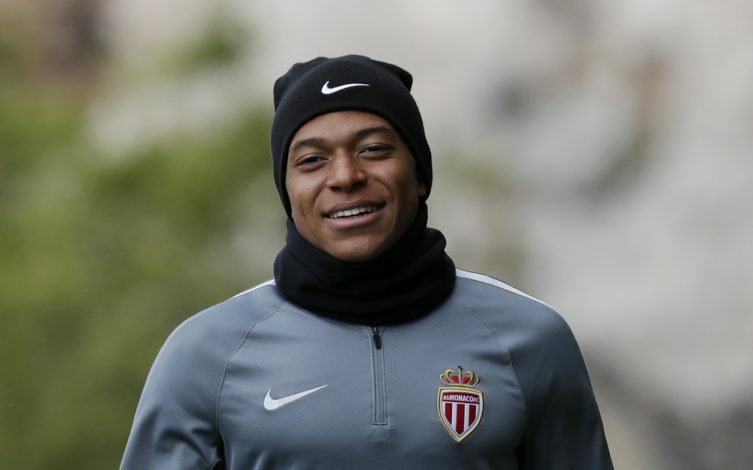 Kylian Mbappe has put Real Madrid on red alert, and could be set to depart Monaco after admitting that he would not be afraid to make a switch this summer. The teenager fired Monaco into the semi-finals of the Champions League, and a Ligue 1 title, and is now hotly being pursued by Real, among a host of other clubs. His exploits with the French club, which involved 26 goals in 44 games, have also earned him a call-up to the French national team for matches against Paraguay, Sweden and England. Bernardo Silva recently became the first player to leave Monaco, by joining Manchester City. And now, Mbappe has said that he too, is not afraid to leave, provided his rapid progress continues. “Why play less? I’ll have time to reflect on that and, no, I’m not afraid to leave,” Daily Mail reported him as saying. Among the plethora of top European clubs looking for his signature, City and Real Madrid seem favourites. The La Liga giants will be buoyed by this latest statement, and his admittance of worshiping Zinedine Zidane. “I dreamed of Zidane the player, not the coach. Zidane the player made me dream and still makes me dream when I watch videos of him. The coach is completely different, he is a great coach who has quickly achieved results and continues to develop,” Mbappe claimed.